1.In the Q&A after your speech, you advised never to retire. Could you go over that again. Janet: That’s right. Never retire your brain, always keep it working for the rest of your life, specifically working to solve new problems or challenges. From shopping in a new grocery store to learning a foreign language to finding a tutor for your son/grandson, these are brain exercises. Brain exercising is putting new information on top of old for an accomplishment, for a result. Here is the ketch: you have to have many of these new accomplishments EVERY DAY. How many? No one knows for sure. The only science I have found behind this is that college educated individuals and/or those devoted to continuing education and the usage of it, mentally last the longest. Light two of your brain candles with one flame…get a new job!! This way, you never retire your brain and you always have a challenge before you. Brain challenge/brain exercising examples at your new job: learning a new software, understanding new company procedures and keeping up with the names of all the new employees. Plus, you’ll have some fun mad money! Never RETIRE!!!! Here is 1.47 minute video I made talking more about what happens when you finally get there, get to retirement. Here is an article I wrote describing the number 1 side job you need to get to help your brain. 2. Hello, I watched your advice on the news and you brought up balancing hormones so do you believe in taking bio-identical hormones? would that really make a difference? I really am scared to take those because of breast cancer but I noticed my memory is getting worse, I cannot speak the words I want during conversation. 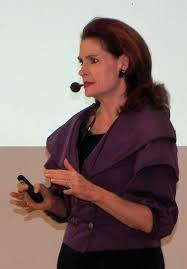 Janet: Yes, I believe in bio-identical hormones, at any age FOR ANY GENDER. But you must take what your body is missing, not just a prescription for any and all. You are right, too many hormones can cause cancer, but what they don’t tell you is that not enough hormones can cause cancer AND memory problems. And about needing to stop and think about what to say, the words you are thinking not coming out of your mouth…that tells me your synapse brain cells are weak. This symptom is a direct correlation to hormone imbalance, poor nutrition and lack of sleep, each or a combination of them all successfully balanced. There is no cure for memory loss and mental weakness BUT there are actions, primarily a combination of, that you must revolve your life in and around so to better your mental health. Here is a signature article I wrote, How to Keep Our Brains Young. 3. My parents are both in good physical health, my dad is 85 and my mom is 78. Do you think their diet of high carbs, processed foods, white bread, and sugar is contributing to their brain drain? in Drain with Ways To Keep Your Brain Fully Charged, here. Perhaps all three of you could read one of my signature articles I wrote, We Are Starving our Brains and Don’t Even Realize It or Why Are Our Parents and GrandParents Coming Down with Alzhiemer’s and Other Dementias. All these writing talk about the 6 WHITE Brain Damaging Foods we consume wholeheartedly without knowing in our daily diets…white sugar, white flour, white rice, white potatoes, white corn (it is white when processed after it’s endosperm, shell, is taken away) plus these last four turn to sugar, along with all milk products (this includes cheese). Janet: I suggest no wheat whatsoever, wheat contains most gluten of our food consumption and in a phrase summary, gluten opens/dissolves the lining of our small intestine, for everyone who consumes wheat, celiac disease or no. Thus, partially digested food seeps out of our intestines, seeps into our blood, digests the lining of our arteries, breaks the blood brain barrier and eventually causes hyper inflammation. As we are all different, with different DNA and different immune performance levels, bodies react differently. Dr. Alessio Fasano, brought over from a University in Italy by MIT who now practices at Harvard discovered this and wrote a book on it, Gluten Freedom. For rice, only wild and brown, if brown, try to get the sprouted, it is just easier on the digestive track. Oats have a hint of gluten, go easy on them and get oats that have not been processed, get preferably steel cut, 2nd choice get old fashion. When they are processed their endosperm (shell) is removed from being heated and bleached (in order to cook quicker and look nice) which pulls away the natural nutrients from oats. Flax meal, great!! Good omega 3. Today: I had left over of shrimp casserole, fresh kale from my Dad’s garden, carrots and 2 slices of bacon with green tea. Shrimp Casserole: made with basis of a puree of freshly roasted mirlton or cayote squash mixed with eggs, flax seed meal, sprinkle of tapioca pudding for thickening, cajun spiced ghee sautee of fresh shrimp my buddy caught, not farm raised shrimp. Egg Muffin: onions, garlic, celery, green red and yellow bell pepper sauteed in bit of bacon grease placed in butter greased muffin tins (6 muffin sections in tin) and topped with stirred up eggs, baked till set and put in refrigerator to eat from. My carbs: I only eat smart carbs which are complex carbs: all vegetables, occasional beans, wild and sprouted brown rice, quinoa rarely (once month–gluten issue). 5. I can’t believe that you eat bacon or grease. Janet: I personally eat a ½ keto, ½ paleo diet, no gluten and low low fruit diet. Your brain is mostly fat, it needs fat to help the nutrients swim all around and be accurately distributed. Good fat is necessary for good brain health, but you cannot combine it with bad fats like trans fats or hydrogenated oils (canola, sesame seed, corn, etc.). It’s like putting water in oil, it doesn’t mix, digest, assimilate into your cells correctly. The only fats you should be eating are grass fed natural animal fats (butter and fat in meats), olive oil, coconut oil. A marathon runner, age 62, I counseled was having memory issues and finance issues, he could not understand numbers any longer. After a quick review of his lifestyle and diet he was a perfect Alzheimer’s prevention specimen except for his diet. For years, decades, he followed a low fat, high carb, high protein diet. Insulin resistance was a contributing factor but mainly, the lack of fat took it’s toll on his brain. After some key supplements based on further testing and a strict ketogenic diet (diet high in fats), he now tutors his coworkers in spread sheet formula development. He was starving his brain of fats. To learn more you would enjoy an article I wrote on Starving Your Brain. Mr. Marathon Runner: at 62, he still runs by the way. 6. You say go super low on sugar, what about fruit? I eat a lot of fruit. 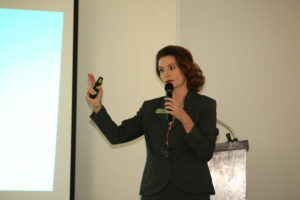 Janet: Sugar…consumption and processing/digestion of it truly depends on each person. Just keep it as low as possible and only from natural sources, fruits, honey, maple syrup, molasses, homegrown stevia leaves. Just know ball park your body and brain can only successfully process/digest 5-8-10 grams sugar a day. And don’t sleep on it. If you consume fruit or any sugar, consume as little as possible and be sure and consume before 2pm so to process all your sugar and not interfere with your sleep. Need help sleeping and staying asleep? If my 19 Ways to Get to Sleep and Stay Sleeping flyer does not do the trick, email me and let’s schedule some one-on-one time together. We can get you sleeping! 7.You say we must do physical exercise, brain exercise and eliminate chronic stress. I walk about 30 minutes daily when I do my praying. I assume this helps as praying reduces my stress. Because I am busy with e-mail reading & correspondence, and reading 2 Christian magazines is this a good amount of reading? Janet: Just make sure you get some huffing and puffing in that walk, God will approve!!!. Extra oxygen up in your brain along with a faster than normal beating heart activates your Brain Derived Neurotrophic Factor which gets your glia cells reproducing faster and your synapse linking those neurons together and your stem cells creating more neurons! In other words, exercise creates new brain cells and also strengthens and matures new brain cells which keeps your train of thought flowing and memory as instant as possible. Here is a quick 2 minute read of an article I wrote on exercise creating new brain cells. Also, in regard to all that Christian reading, please understand the difference between reading for entertainment or fact finding vs. reading for an accomplishment. You and your brain have to do something–accomplish something with those facts, put the facts to use!! Reading is nice and okay but only goes so far. Reading is a tool to create new brain cells. Here is an example of how it work: you are a history buff and lecture here and there so you read to understand why the Brits almost won the War of 1812 and if it had not been for their loss of the Battle of Mobile Bay in Mobile Alabama we, the US, might still be under British rule! You then use that newly learned trivia in your new lecture. A question comes up about the pirates, so you go back to your sources, read some more and are prepared for the next lecture to answer the questions! For more on brain exercising, review question #1 above or click here to quickly get to it. 8. What are the first signs of dementia that you notice? For Brain Health Members exclusively, I have here a check-off list for the Top Signs Your Cognizance is slipping. If you have any additional questions, feel free to email me, Janet@JanetRichPittman.com. Former White House Aid Omarosa Manigault Newman in her book Unhinged claims that changes in President Trump’s actions stem from his mental decline which is leading to dementia, specifically Alzheimer’s. This ‘does Trump have Alzheimer’s?’ question has been raised by opponents since his candidacy. And now various articles from Business Insider, The Hill, Page Six, Washington Examiner, USA Today, The Splinter and The Wall Street Journal , while covering Omarosa and her new book, print the question again. The August 14, 2018 issue of Quartz Magazine specifically points out 4 examples – each of which don’t have scientific backing. In my article, “Does Trump Have Dementia? Not So Fast! “, I countered each of Omarosa’s accusations with scientific backing. Here is the article for your review, a quick 5 minute read. Together with Business Insider’s article January 16, 2018 by Hilary Brueck “Trump got a perfect score on a screening test for dementia and Alzheimer’s”, both articles should nail shut the coffin of continual questions pertaining to Trump suffering from mild cognitive behavior. But let’s just say, Mr. Trump does have dementia percolating in his brain. But let’s just say, Mr. Trump does have dementia percolating in his brain. 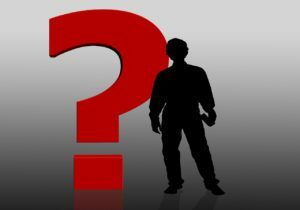 He is the president of the United States, now what? It’s not like a parent, where you are troubled by their actions, consequently seek help from a neurologist. Plus in Brueck’s article, Trump has already been through the neurological testing. The last step to quell the question: have the top Trump advisers discretely gather three, five to seven dementia experts comprised of PhDs, physicians and nutritionists scattered across the county who are responsible for reversing the various diseases of dementia. After observation, blood and nutritional testing as well as brain scans and secretive mirrored observations to reflect response times, thought processing and oxygen intake(physical exertion)[your general neurologist just isn’t going to do that], the group could issue a report on President Trump’s current neurological health with a prognosis for his future head brain health. This assessment report, from the nation’s top dementia experts, would give the final answer, once and for all. I’ve created a list of 17 scientific leaders who have reversed and curtailed the progression of various dementias, including Alzheimer’s. A ‘Presidential Brain Health Counsel’ could surely be appointed from this list. I would be more than happy to offer my continual advisement to the White House. Omarosa raises new questions about Trump, dementia and Alzheimer’s disease but she’s got it all wrong. Omarosa Manigault Newman claims in her new book “Unhinged” that changes in President Trump’s actions stem from his mental decline which is leading to dementia, specifically Alzheimer’s. As highlighted in the August 14, 2018 issue of Quartz Magazine she points out 4 examples – each of which don’t have scientific backing. 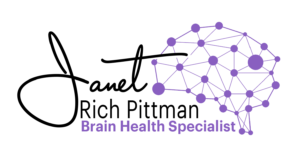 I say that as a brain health specialist, a former dementia administrator and dementia practitioner, who has spent years studying the brain and causes of dementia. It is not mental decline Omarosa is describing, it is change in mental direction, actually mental enhancement, specifically mental perspicacity. Continual lack of instant recall, based on ill cognitive reasoning, is a precursor to dementia. Of the 50 to 100 people the president of the US has to meet on a daily basis, as well as the dozens of issues needing attention, it is common and understandable to only remember that person who is most important to the situation at hand and the situation that calls for immediate priority. It’s the same with memory. Trying to stuff one more item for recall into the president’s brain holding quadrillions of facts is daunting. He is only going to immediately remember that which is most important. Psychologist Dr. George Miller gave us the Miller Law in 1956 which holds professional acuity, to this day. His law states the average person can only remember 7 items at once. [i] Dr. Nelson Conway, a working memory specialist and director of the working memory laboratory at the University of Missouri says ability to remember boils down to cognitive ability combined with the amount of information to retain; for most us, we can only recall 3-5 items at a time, an average of 4 items[ii]. You’d be hard pressed to find a public speaker who doesn’t rely on notes or a teleprompter for their speeches. Anyone who has to deliver a speech every day, sometimes two to three a day, under the weight of being the leader of the world, would have trouble remembering what to say and scrounge for notes, especially if giving different speeches. If someone is truly suffering from dementia they may forget the purpose for their speaking engagement and could appear rattled and confused. Additionally, reference Miller’s Law. According to Dr. David Perlmutter, author of various books on the brain, Grain Brain, Brain Maker and The Better Brain, genes are “a predisposition, not a determinant, meaning that while some people have a higher risk for Alzheimer’s by virtue of their genetics, that isn’t written in stone”. Dr. Mark Hyman, author of The Ultra Mind Solution, also notes, “our genes do not dictate our destiny”. If someone has always been typically sweet yet on a consistent basis becomes very angry and mean, this could be an early sign of dementia. Yes, severe behavior and personality changes are key components of cognitive impairment. And that is just it, Trump has always been demanding and short-tempered, key personality traits the public has been aware of since following his life’s accomplishments prior to his candidacy as well as the presidency. 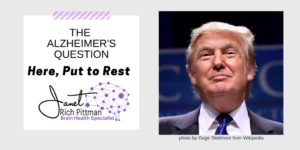 Omarosa Manigault Newman raises the question if Alzheimer’s disease is present in Trump. To date, a true diagnosis of Alzheimer’s disease can only be made post mortem. The average viewer can attest, the president’s job is mentally demanding, taxing and trying. Whether you like him or not, President’s Trump discernment and shrewdness in managing our nation, not Alzheimer’s or dementia, shine through his actions. [i] “The Magical Number Seven, Plus or Minus Two: Some Limits on Our Capacity for Processing Information“ is one of the most highly cited papers in psychology. It was published in 1956 in Psychological Review by the cognitive psychologist George A. Miller of Princeton University‘s Department of Psychology. It is often interpreted to argue that the number of objects an average human can hold in working memory is 7 ± 2. This is frequently referred to as Miller’s law. Miller, G. A. (1956). “The magical number seven, plus or minus two: Some limits on our capacity for processing information”. Psychological Review. 63 (2): 81–97. doi:10.1037/h0043158. PMID 13310704. If you would like to read the August 14, 2018 Quartz article referenced here, click the link here. 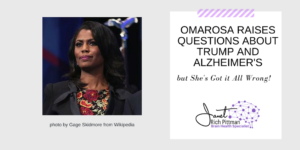 https://janetrichpittman.com/wp-content/uploads/2018/08/Omarosa-quesitons-trump-AD-image.png 512 1024 Janet Rich Pittman, SCALA, CDP https://janetrichpittman.com/wp-content/uploads/2018/02/JanetRichPittman-300x159.png Janet Rich Pittman, SCALA, CDP2018-08-16 09:18:432019-01-17 09:41:21Omarosa raises new questions about Trump, dementia and Alzheimer’s disease but she's got it all wrong. The American Academy of Pediatrics (AAP) is cautioning parents and pediatricians to avoid exposing children to eight chemicals found in food and in plastic packaging. But it’s not a warning that should be advised just for kids because of their small size, it should be advised for everyone! Everyone has a developing and maturing brain. In the electronic magazine On The Brain, my article titled We’re Dying Our Brains tells about color in foods damaging our brains, young and old alike. This recent study from AAP shows us the damage plastics, found inside foods (yes, inside) and in housing foods, do not only to our brains but to our overall health. – Artificial food colorings (This study did not specifically cover individual coloring agents. See my article We’re Dying Our Brains for coloring damage details. The chemicals nitrates and nitrites, as well as bisphenol A, or BPA, have been linked to cancer, obesity and cardiovascular disease (SN: 10/3/15, p. 12). Phthalates and perfluoroalkyl have been associated with endocrine disruption, obesity and insulin resistance, which is when cells don’t respond properly to insulin (SN Online: 2/9/12) leading to starvation of brain cells. Percholorate is known to disrupt the thyroid hormone function and polybrominated diphenyl ethers are found to be association with hypothyroidism in toddlers. Some of these chemicals may also have neurocognitive (head brain) effects, such as increased hyperactivity in children, says study coauthor Sheela Sathyanarayana, a physician and epidemiologist at the University of Washington in Seattle. Because scientists are unable to test the effects of these chemicals directly in humans, evidence shows only that there is correlation, not causation, between exposure and disease. To avoid these chemicals, the report suggests that parents, but I say all who buy, should buy fresh or frozen produce and skip processed meats packaged in plastic or food in metal cans, which can be lined with BPA. (Plastic is a major head brain disruptor, read more about it in my free booklet 9 Signs You’re Experiencing Brain Drain and How to Keep Your Brain Fully Charged.) Certainly, everyone should avoid storing foods in plastic, not allowing cooked foods to touch plastic. Also never put plastic containers in the dishwasher or microwave, as the report states heat can draw these chemicals out of plastic. The researchers say that they hope the report prompts more strict regulation of these additives. Bottom line, all of us who buy and cook foods for ourselves as well as for our children should know to stay away from heavily packaged and processed foods and eat as all natural as possible. The purpose of this information is to convey knowledge. It is not intended to diagnose, treat or cure your condition or to be a substitute for advice from your main healthcare professional. Sincerely, I wish you and yours the very best in brain health. The New Rule of Retirement: Retirees…You Can NEVER Retire. If you are looking at leaving your job for full retirement or downsizing your current job and easing into retirement, you’ve probably been through the counseling of your HR department and/or with your financial advisor. You are getting yourself financially ready. But are you healthily ready? Is your health ready for this change, specifically your brain? ARE YOU HEALTHILY READY FOR RETIREMENT? 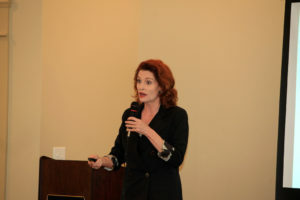 In the Gulf Coast Alzheimer’s/Dementia support group I co-founded, my 5 year involvement showed that 60% percent of the attendees had a spouse fall victim to Alzheimer’s or other forms of dementia within 3 to 6 months of retiring from their job. 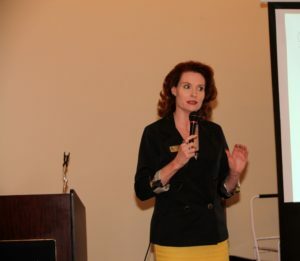 Well, statistics say that for the majority of us, our number one fear is public speaking. We all know that is absolutely NOT true. Nearly all of us can get up and tell a story or speak to a group if we have to. To be honest, we are afraid of losing our mind. Even if we lose our hearing and our sight, we still have our mind and can function and appreciate life. Losing our brain function…that is another story. We all know why we must take care of our brain, to keep our mind fully functioning, keep it alert, to continue to make proper decisions and judgment calls, to manage our lives. Those are the technical, logistical reasons. The real reasons to take care of our brains, I think we all agree, are to continue to enjoy our lives, to enjoy our spouse and other family members and close friends, most importantly, to continue to love and be a part of the lives our children and grandchildren. So yes, we know why we must keep a healthy brain, but knowing the how to do it…there, it gets a little tricky. If a plant does not get water, it dwindles and dies. To make it grow, produce flowers or fruit, it’s good to add a little fertilizer. It is the same with our brain. We’ve got to feed it. When we need to spruce up our energy and help our performance, we can consume a different type of fertilizer, a vitamin or supplement. Bottom line: We’ve got to take care of our brain. We just cannot let it sit on top of our shoulders and be. Our brain needs nurturing. And we fail to do that. MOST OF US THINK OF OUR BRAIN LIKE WE THINK OF OUR SLEEN, WE DON’T. We think of our aching joints, our big hips, our beer bellies, our aching back, our stomach growling or even heartburn. At night when we can’t sleep, during the afternoon when we cannot stop yawning, when we keep forgetting names as well as how to balance our check book, when we lose our way home from church or the grocery, we don’t think of our brain, we just slap the air and say, “It’s hell getting old”. Regardless of the issue, it’s our brain calling out, “woe, woe, woe, I need some help”. IT’S OUR BRAIN CALLING OUT, “WOE, WOE, WOK, I NEED SOME HELP”. How can we help our brain when it is calling out? There are many ways but the first and most important way is to acknowledge this precious organ and give it the respect it deserves. Yes, our hair will turn grey, our skin will wrinkle but our mind and body do not have to shrivel up and be vacuumed away by dementia which can slowly percolate in our brain. So the number one job, in our lives but especially when we retire is… we have to take care of and nurture our brain. Here’s to your good brain health! PS: Want more ways to care for your brain? 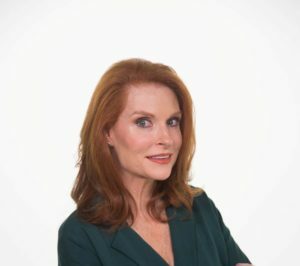 Be a member of my Brain Health Revolution where I will send you a couple of times a month new info, quick tips, check lists and more on how to power up your brain and keep it fully charged. Join by grabbing my new booklet, 9 Signs You’re Experiencing Brian Drain and How to Keep Your Brain Fully Charged, here. 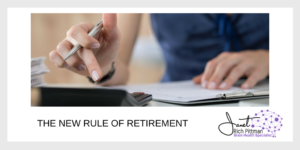 https://janetrichpittman.com/wp-content/uploads/2018/07/New-Rule-of-Retirement-.png 512 1024 Janet Rich Pittman, SCALA, CDP https://janetrichpittman.com/wp-content/uploads/2018/02/JanetRichPittman-300x159.png Janet Rich Pittman, SCALA, CDP2018-07-20 10:59:212018-07-25 19:40:38The New Rule of Retirement: Retirees…You Can NEVER Retire. What do these foods have in common? Box cakes and their icing, beverages, juices, candy, cereal like Captain Crunch and Fruit Loops, OTC drugs, Florida oranges, cosmetics (especially lip sticks), ice cream, sorbet, frozen fruit bars, sausage casings, maraschino cherries, gelatin desserts, BBQ sauce, fruit salad, Doritos and other chips, instant ice tea, Hamburger Helper? They are all loaded with synthetic, artificial food dyes man-made from coal tar or petroleum. 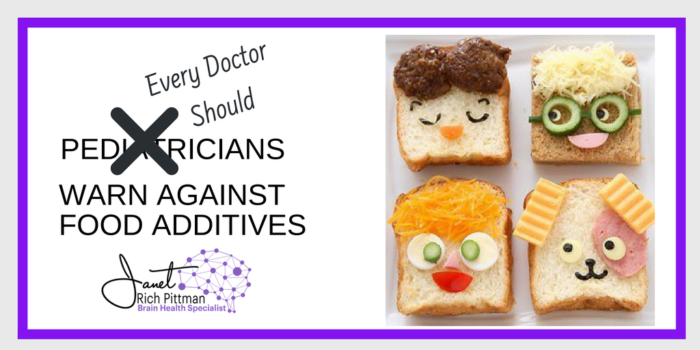 Scientific studies, specifically from Pediatrics, The Lancet and Journal of Pediatrics, told us about 10 years ago, that these dyes were damaging the development of our children’s brains and could be a main source for ADHD-Attention Deficit/Hyperactivity Disorder. For those children NOT suffering from ADHD disorder, the studies also told us these same dyes can make kids hyperactive and/or hysterical, if not just plain nervous. In the last few years studies, such as those from International Journal of Biological, Biomolecular, Agricultural, Food and Biotechnological Engineering and World Journal of Pharmacy and Pharmaceutical Sciences, not only confirm artificial food dyes cause developmental brain problems but they also indicate artificial food colorings are a cause of brain cell degeneration. Basically food coloring, eaten over the years, is a cause of dementia. Dementia is from brain cell degeneration and that is when brain cells deteriorate, break down and die causing the brain to lose function. When foods dyes are consumed over a series of months to years to decades, this causes the brain not to function at prime capacity. In other words, we lose names, train of thought, words are dropped where we cannot finish a sentence, we are tired all the time and somewhat in a haze. And when we keep eating the coloring and other toxins, it gets worse, where we make improper judgment calls, our reasoning is off, we do not have strong control over impulses and emotions, changes in personality creep up, we cannot focus and pay attention, our senses become weak and our visual perception is off. Yellow dyes are associated with high oxidative stress which creates free radical production. Simply the yellow dye causes your brain cells to go crazy and beat each other up (hyper inflammation) , eventually killing each other. Various artificial blue dyes cause gliomas which are tumors made in the glia cells, the supportive cells to neurons which hold up the neurons and direct them. Yep, tumors as in Brain cancer! Orange to red dyes work to build up plaques in the brain. Actually they cause a specific protein, amyloid precursor protein, to misfold and starve brain cells, resulting in dementia, Alzheimer’s the most common form of dementia. The European Union has demanded warning labels be issued on foods containing artificial synthetic dyes. Australia and the United Kingdom have banned these chemicals in foods altogether. Why have companies in US not taken these artificial dyes out of our foods? Companies make the food/candy with the coloring to make it attractive so to garner a sale. Obviously, it’s a political issue. And because of the cheap price and the attractiveness of the coloring, the packaging and the taste, we keep on buying it. So let’s don’t because foods containing these dyes are killing our brain cells. We can get good tastes, not the same taste though and maybe not even a better taste, from natural foods with natural colorings, but we will at least get safe, natural and productive nutrients to give us a healthy brain. With a healthy brain we are sharp, quick and mentally astute; we have instant recall and energy as well as the most important, we are preventing dementia. Nutrition is a main way to have good brain health. Not only do we need to absorb nutrients from all natural foods to better our brain, we must, else we will dye our brain to death. Continue to read my electronic magazine, On The Brain, where this article is kept. Click here for other articles. 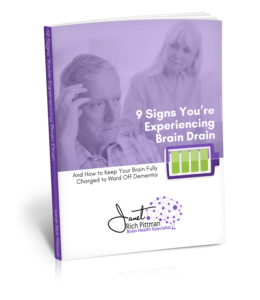 Download here, for free, my book, 9 Signs You are Experiencing Brain Drain and How to Keep Your Brain Fully Charged to Ward Off Dementia. Take my Brain Quiz here. It is only 5 quick questions and no matter your score, the analysis after will definitely give you something to think about. Good to talk with you! 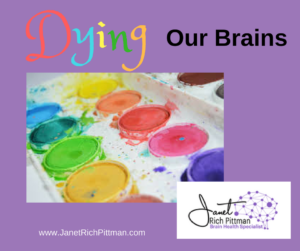 https://janetrichpittman.com/wp-content/uploads/2017/10/Dying-Brain-Blog-Post-JRP.png 788 940 Janet Rich Pittman, SCALA, CDP https://janetrichpittman.com/wp-content/uploads/2018/02/JanetRichPittman-300x159.png Janet Rich Pittman, SCALA, CDP2017-10-03 18:33:122018-06-19 15:38:02We're Dying Our Brains! 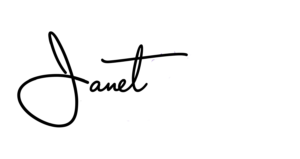 In the Alzheimer’s world the overproduction of these miss-folded proteins are thought to be a main cause of this deadly and family altering disease. A team co-led by Drs. Deepak Kumar Vijaya Kumar of Massachusetts General Hospital and Robert Moir and Rudolph Tanzi of Harvard Medical School[i] showed from their study released mid May 2016 that Beta Amyloid Plaques act as a natural antibiotic that protects the brain from infection. Specifically the plaques trap and imprison bacterial pathogens (parasites that cause disease) preventing their spread. 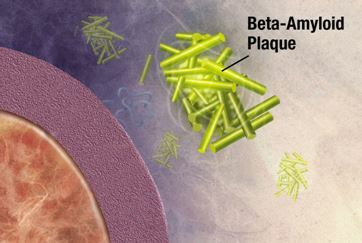 The doctors denote it is still unclear if the plaques are “fighting a real or falsely perceived infection” but this research gives us a pathway for medicines to target if indeed Beta Amyloid Plaques are the true problem. In the late 80s through early 90s scientist David Snowden, PhD showed us through his study of nearly 1,000 nuns[ii] who donated their brains to science, that those nuns dying under the last stage of Alzheimer’s had the same amount of Beta Amyloid Plaques than nuns showing no cognitive impairment on the scale of even the beginnings Alzheimer’s disease. The science is still not there to give us a definite cause of Alzheimer’s disease. New research tests are beginning to tell us that these plaques, when in excess quantity, are perhaps banging around too much in our brains and breaking up our tau proteins causing Neurofibulary Tangles. An excess of tangles is thought to be another cause of Alzheimer’s. Stay tuned for developments on cures. Clumps which form in the brain after Amyloid Precursor Proteins miss-fold and become sticky. [ii] Snowdon, David, PhD, Aging with Grace, New York, Bantam Books, 2002. This article is a reprint from The Mobile County, Alabama Sherriff’s Magazine. The story is true. Names have been changed for privacy. 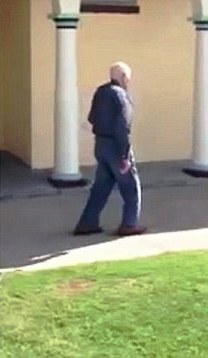 Bob, a police officer of one of Mobile’s suburbs, had been called to investigate and remove a middle to elder age man caught urinating in a corner of the local elementary school. With Willie dangling while walking and greeting the little ones, this fella had to be removed from campus. Once Bob gingerly convinced him to put up Willie and accompany him to the patrol car, Bob began the real questioning. His routine interrogation, given in a smooth, friendly voice, got nonsense gibberish, but the hanging neck tag Bob caught sight of, quickly gave all the answers. It read: James ‘Jim’ Smith, 123 Main Street, City, AL, 12345 Alzheimer’s Victim, ICE: Liz Smith Greenwood 251.123.4567. According to Liz, after she secured a last minute doctor’s appointment, she could not get a sitter for her father who lives with her and her family. This was the first time leaving her father alone since she moved him in 5 months ago to care for him full time after quitting her job. With Liz’s front door wide open and the dog missing, the situation was reconstructed. Mr. Smith, Liz’s father let the dog out of the front door after continuously seeing him scratch the door. After visually following the dog scurry about the yard, Mr. Smith quickly shifted his attention to the children on the school playground, four houses down. Being a retired school principle, this was ‘the place to be’ in his mind and once there, Mr. Smith suddenly became aware of his hygiene calling. Sighting a plastic white urn in the corner as the commode and he stepped up to relieve himself. Now…Bob understood. Liz’s gamble did not pay off and that is where Gulf Coast Dementia Services, GCDS, a 501c3 charity serving under Gulf Coast Senior Services can help play the hand many families are dealt when having to care for their demented parents. Families want to preserve their parent’s independence and keep them at home as long as possible. When needed, a certified dementia caregiver can be scheduled to ‘sit’ with a demented family member. These caregivers, schooled in responding to and reacting with dementia victims, offer family caregivers time off. Yet insurance, except for some long term health policies, does not pay for sitter service. For an application or further information, visit http://www.gcseniorservices.com. Coffee is a natural, organic food and it helps prevent cognitive decline—to prevent dementia leading to Alzheimer’s Disease. Yep, your morning Joe prevents Dementia… but there’s a catch. The research group took their finding and analyzed their ‘human’ results with results of other rodent Alzheimer’s studies. All but one rodent comparison study gave equal results. During this non matching study, twice weekly or every 72 hours to be exact, one set of mice with Alzheimer’s Disease (AD) were given caffeinated coffee, another set of AD mice were given decaffeinated coffee and the third set of AD mice were simply given raw caffeine. Only the mice with caffeinated coffee showed severe memory improvements. 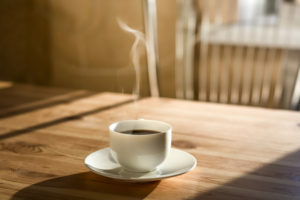 More significantly, the mice with the caffeinated coffee had continuous levels of G-CSF, IL-10 and IL-6, growth stimulating proteins, which were not seen in the decaffeinated coffee and plain caffeine mice groups. Scientific analysis of these proteins, present after consistent consumption of caffeinated coffee, reveals that caffeinated coffee triggers long-term beneficial ‘brain maintenance’ against–preventing Alzheimer’s Disease. Thus the indication: some ‘as of yet unidentified’ component of coffee synergizes with caffeine to greatly enhance certain protein production. Catch One: drink caffeinated coffee. These tests provide direct evidence in humans that caffeinated coffee is associated with the reduce risk and /or delay onset of dementia and MCI (Mild Cognitive Impairment). Catch 2: the study reveals that less mental decline was associated with both men and women drinking 2 to 3 or more cups of coffee per day. Since dementia begins to formulate in our brains ten to twenty years prior to symptoms of cognitive impairment occur, intervention to prevent MCI furthering into Alzheimer’s should begin early. There is hope so, ready for a cup? Some illness is going to get us. We all know we cannot live forever and at the end of the journey is death. For many, something comes along as we make this journey and knocks us down, throwing us into a series of illnesses resulting in a slow body breakdown. From diabetes I and II, cancer, heart trouble (actually blood flow trouble) to even, heaven forbid, dementia/Alzheimer’s, these all are a painful and sorrowful–sickly way to age, as well as depart. When suddenly struck like this and you face the wall of death, it is incredibly difficult if not impossible to summon energy to fight and try and beat the illness pulling you to the end. Just last week I faced such a group of people. The Cancer Survivor’s Group of Citronelle, Alabama, 40 miles north of Mobile, gathers every month to support each other and to learn how to further take care of themselves. Their stories of the illness fermentation, their fight, fright and fatigue along with hope for a healthy future are amazing. When asked to talk to them about dementia, I was taken aback. Here we have these illustrious survivors who had fought the vacuum to death by standing tall to the torture of cell changing medicines, chemotherapy and/or radiation. And they kept fighting despite their exhaustion, low self esteem and degrading confidence. These winning survivors now invest in their future to prevent other illnesses from giving torturous advances to death. 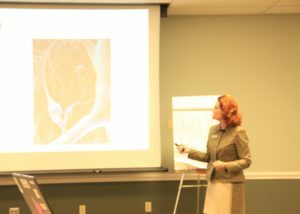 They host informative talks or lectures so to educate themselves to prevent their cancer illness, nor any other illness, will strike them again. Their meetings and self betterment: how inspirational. Yes, they wanted to understand the disease but bottom line: they asked for my seminar because they are scared it might happen to them and that they might be struck with dementia. Here they wanted answers with preventative measures. Wow! Hats off to such a fine group. Now are you searching ways to age better, to prevent illness from tackling you? Are you worried about dementia striking? Feel free to invite me to speak to you and your group on dementia prevention and healthy aging, specifically ‘The Four Ways to Age Successfully with NO Pain and NO Dementia”. 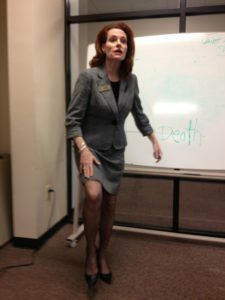 You can pull up my website, www.JanetRichPittman.com, to peruse additional speech topics and view comments. it, along with sickly aging, consuming our parents, our friends and our neighbors. We shake our heads yet go forward for we feel –we know we can do nothing. Yet we can. We certainly can do something for ourselves. We can take steps to prevent dementia, to lead healthy productive lives. First, you are invited to a free subscription to my blog, www.SeniorMomentsNoMore.com where I submit short articles, similar to these in this great magazine, articles on dementia prevention, good brain health and successful aging. Once subscribed, you will automatically receive a free electronic report, Dementia or just another Senior Moment: The Difference. Next, feel free to also invite me to speak to your group to explain what dementia is and open the door to venture into the various ways of prevention for a healthy enjoyable journey through life. It would be an honor to share my information on my blog and by speaking with you and your group. Now, back to the main question: what will yours be? 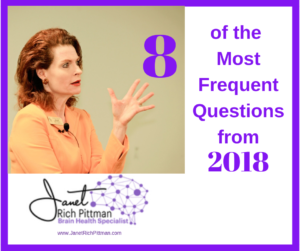 https://janetrichpittman.com/wp-content/uploads/2018/02/question-mark-96285_1280.jpg 897 1280 Janet Rich Pittman, SCALA, CDP https://janetrichpittman.com/wp-content/uploads/2018/02/JanetRichPittman-300x159.png Janet Rich Pittman, SCALA, CDP2014-07-16 17:00:002018-04-17 14:05:56What Will Yours Be? for a response within two business days.